SPIPA CGRS Selection List Waiting List Registration Camp 2017: Sardar Patel Institute of Public Administration announced notification and list regarding SPIPA CGRS Selection List Waiting List Registration Camp 2017. Eligible candidates may check all detail on its official website or here on this page also we upload further information. Sardar Patel Institute of Public Administration successfully conducted CGRS Exam on 25th June 2017. Candidate who appeared in this Exam and successfully cleared exam for them SPIPA announced SPIPA CGRS Selection List Waiting List Registration Camp 2017. Candidates who are selected they have to read all instruction well before attend Camp. Here provide the entire information about taking necessary documents, fees, address and other in notification. C/O, Regional Training Centre (SPIPA), Opp Safal Prelude, B/h. Candidate have to go on official website i.e. 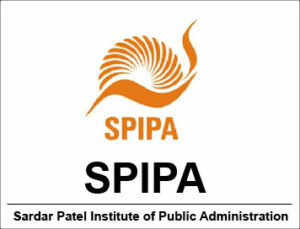 spipa.gujarat.gov.in. Search SPIPA CGRS CGRS Selection List Waiting List Registration Camp. Detail will b display on screen. Candidates are advise to bookmarks this page and be regular touch on this page for get more latest updates about SPIPA CGRS Exam 25/06/2017 Answer Key.